Steamers and combi-ovens are among the most important and expensive pieces of equipment in your kitchen, they are also the most susceptible to limescale and corrosion caused by impurities and additives in your supply water. Knowing a little about your equipment, your water and basic water treatment can go a long way toward reducing expensive repairs and costly downtime. While there is no way to make water treatment for steamers and combi-ovens simple, we can give you a simplistic understanding of the options you have, and put the information at your fingertips so you may make an educated decision about the best option for your equipment, your kitchen and your business. Municipalities add chlorine or chloromine to sanitize the public water. These additives can be corrosive to your stainless steel equipment and give off a foul taste and odor. Both sanitizers should be filtered out of the supply water for your steamer or combi-oven. Chlorine is the most common sanitizer and can be removed with an activated carbon filter. Chloromine is a mixture of chlorine and ammonia and is more difficult to remove but can be filtered out with a catalytic carbon filter. Before installing a filter system on your steamer or combi-oven it is important to know what sanitizers are in your water supply so they can properly be removed. Water hardness, also known as scale or limescale (usually calcium and magnesium) is very common in public water supplies and often much higher in private well water. Because steamers utilize evaporation to cook, untreated water with high levels of limescale can cause rock type compounds to form in the steamer. 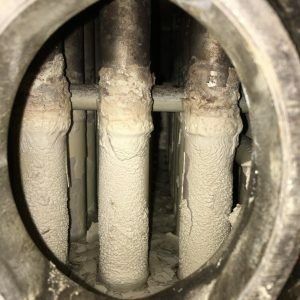 This limescale can build up in the tank, coat the probes, the elements and other essential components of your equipment leading to loss of efficiency, expensive repairs and preventable down time. Untreated or mistreated water hardness is the #1 cause for a steamer or combi-oven to transform into a “money pit”. Chloride is ever present in the water supply and it can be extremely corrosive when heated above 140 degrees. It has the ability to penetrate the passive protective film on stainless steel, leading to rapid and destructive corrosion of your essential food equipment. 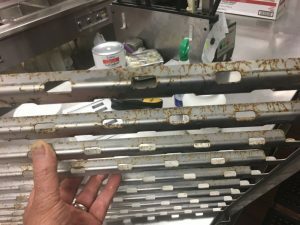 Even low levels of chloride can cause extensive corrosion in a steamer or combi-oven. Chlorides are measured as a component of TDS (Total Dissolved Solids) and cannot be removed through regular filtration or softening. Service calls on steamers and combi-ovens are very expensive and no one realizes that more than the manufacturers. It has become so costly most of the manufacturers now publish “Required Water Supply Standards” in their installation manual. Most manufacturers also state not meeting these water standards can lead to a warranty service call not being covered or voiding your warranty all together. The specific acceptable water standards may differ slightly between manufacturers and model numbers so you should check for that information prior to installing a new unit. Below we have provided an example of required water quality standards from a manufacturer vs actual water quality test results from two locations 15 mile apart. If you think your area has quality water you may want to think again; most water in North America will NOT meet the manufacturer’s required water quality standards without treatment. As you can see from the examples above, the water tested in Milwaukee has a hardness level twice that allowed by the combi-oven manufacturer and a total disolved solids level (TDS) 1.5 times higher than is acceptable. The water from Waukesha (15 miles away from Milwaukee) has a hardness level 5 times higher than allowed and a TDS 3-1/2 time higher than is acceptable. Each of these locations may need drastically different solutions to their water quality problems. What Type of Steamer Do You Have? We refer to steamers with some type of heating tank as a “Boiler” steamer. The tank may be pressurized or not, and it could be as simple as an open pan that holds water. The water is heated in the tank and turns to steam. The steam is directed to the cooking cabinet where it cooks the product. The water heating tanks should be drained and refilled after each service, (many newer models drain automatically upon shutdown). 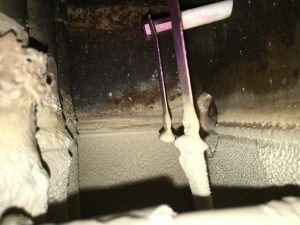 When water is not treated properly lime scale can accumulate in the water heating tank of these steamers because it enters with the water but when the water exits as steam all of the additives and impurities stay behind creating a slurry in the tank. The impurities in this slurry start to coat probes and elements and they start to build up in the tank as a rock formation leading to inefficient equipment, expensive repairs and costly equipment downtime. There are also additives and other impurities in the water that when left untreated can be quite corrosive to stainless steel especially in an environment that is being heated over 150 degrees. Steamer and combi-ovens that spray (or inject) small amounts of water on a heated plate or wheel causing the water to flash into steam are referred to as “Flash” steamers. The steam created by the flash is used to cook the product in the cabinet. There is no water heating tank in this type of unit. Untreated water can wreak havoc with this style of steamer or combi-oven. The jets spraying the water can become plugged with lime scale or the heated plate/wheel that is flashing the water to steam can become coated with lime scale making the unit very inefficient and even rendering it useless. 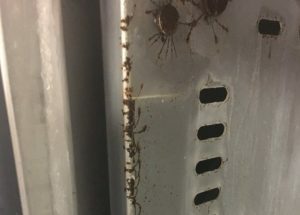 The spraying of the plate or wheel can also cause the impurities in the water to be scattered around the unit getting into all the exposed components. Then, there is the cleaning cycle which uses quite a bit of water to remove the grease and debris left behind from cooking. If that water is untreated it can often leave a layer of lime scale over the grease you are trying to remove. That means grease remover will not get through the lime scale to clean the grease, and limescale remover will not penetrate the grease to remove the lime scale. 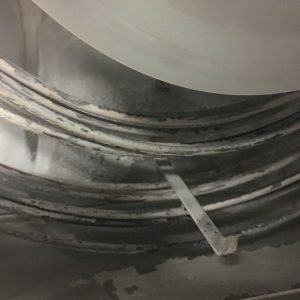 The other impurities in untreated water can become highly corrosive to stainless steel (even more so than in a boiler unit) because the flash style steamer heats the plate/wheel to extreme temperatures. 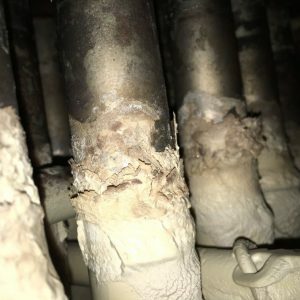 Improperly treated water will lead to many frustrations in a flash style steamer along with expensive repair costs and costly equipment downtime. ScaleX2 – For use on Boiler type steamers or combi-ovens when water quality is within factory specifications and hardness is low to moderate, (<10.5 gpg). Can accommodate units with flow rate up to 4 gpm. 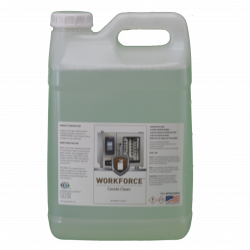 This system will remove sediment, chlorine, taste, odor and inhibit limescale buildup. NOT for use on flash style units. CTOS Technology – For use on Boiler or Flash type steamers and combi-ovens when water quality is within factory specifications and hardness is low to moderate, (<8 gpg). Can accommodate units with flow rates up to 6 gpm. 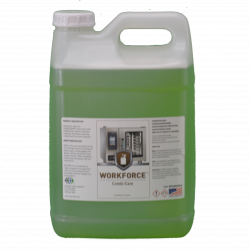 This system will remove sediment, chlorine, taste, odor, and inhibit limescale. The CTOS technology puts an additive in your supply water that gently coats the water contact areas of your equipment with a film that reduces corrosion. Reverse Osmosis (RO) – For use on Boiler or Flash style steamers and combi-ovens. Install RO if any of the following exist. Excessive hardness, excessive silica, excessive, chloride, excessive TDS. Optipure RO systems can be ordered to accommodate the needs of any steamer or combi-oven. These systems will also remove sediment, chlorine taste and odor and your final water can be dialed in to the exact specifications that make your unit work at peak performance. Water with hardness over 12.5 gpg or removal of excessive silica may require the water to be softened before entering the RO system. If you do not have house softened water Optipure offers small efficient units as part of the RO equipment package. Now That I Know This What Do I Do? Get a water report so you know what is going into your steamer or combi-oven. If you are on a public water source you may be able to get it from your municipality or off their website. If you cannot obtain it for free, or are on private well water, you can order an H2O Test Express Kit Pt#: OPT180-80180 from ASC1. Compare your water report to your equipment manufacturer’s required water specifications. If you are within your equipment’s factory required water specifications you may be able to optimize your water with a treatment system that inhibits scale and removes chlorine. CTOS technology can be used on both styles of steamers, (Flash and Boiler) but Scale X2 should only be used on Boiler, NOT Flash. If you are outside the equipment manufacturer’s required water specifications you need to contact ASC1 about an RO system, especially if your steamer or combi-oven is the flash style. Combi-Ovens are very expensive to purchase and the repair costs related to poor water quality can make you cry. Protect your investment before it needs extensive repairs. Combi-Clean is a non-caustic cleaning agent for all combi-ovens that have two product automatic liquid washing systems. Combi-Clean removes grease and other food soils leaving the interior clean. This product has been approved by Welbilt for use in the Convotherm combi-ovens and is to be used in conjunction with Combi-Care. Packaged in cases of 2/2.5 gallon containers and ships regular ground without hazardous material charges. Part # XMGWF9301225LQ. 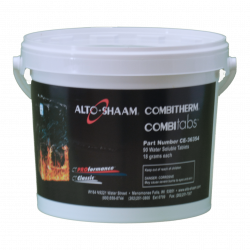 Alto-Shaam Combitabs are for units that do not have automatic liquid cleaning systems. Toss the required number of tabs in and run the cleaning cycle to remove all grease and food soil. Make this a nightly process and cleaning is a breeze. Packaged 90 tabs per bucket and the part # is CE-36354. Product ships regular ground without hazardous material charges. To be used in conjunction with OPTICLEAN descaling powder. 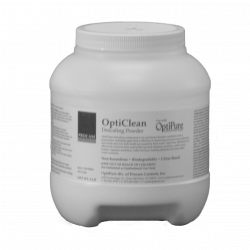 Opticlean Descaling Powder is an acid based descaler that is highly effective at removing limescale and iron buildup. Follow directions in your manual for Alto-Shaam Scale Free Cleaner as this is the same product. This product packaged in 4 pound jars and includes a 1 oz scoop. Product part # of OPTOPTICLEAN. Product ships regular ground without hazardous material charges. To be used in conjunction with Alto-Shaam Combitabs.